This otherwise "blah" photo shows the height of the snow stakes that are along the Mt. Rose Highway. Since the Mt. Rose Highway goes over Mt. 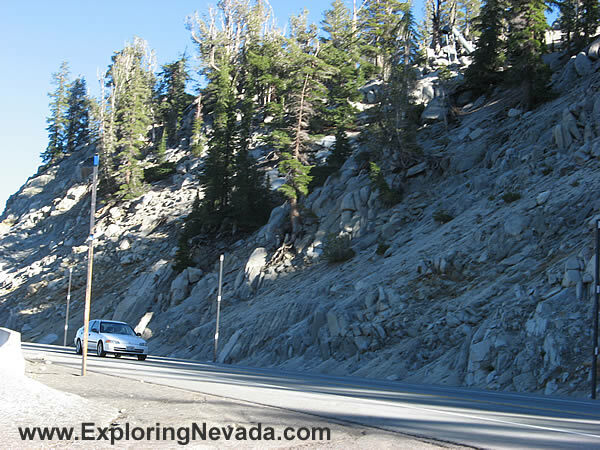 Rose Summit (which is the highest year-round pass in the Sierra's) and has an elevation of 8900 feet, the pass receives nearly 400 inches of snow a year. As such, snow removal along the road is a never-ending chore during the winter months. These massive snow stakes are used show the location of the road.